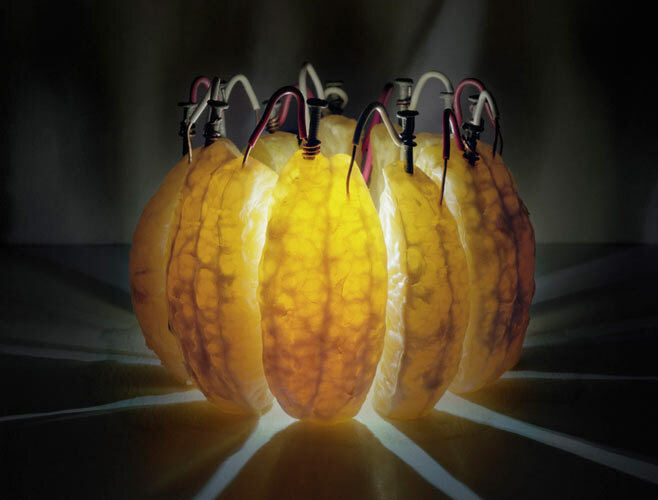 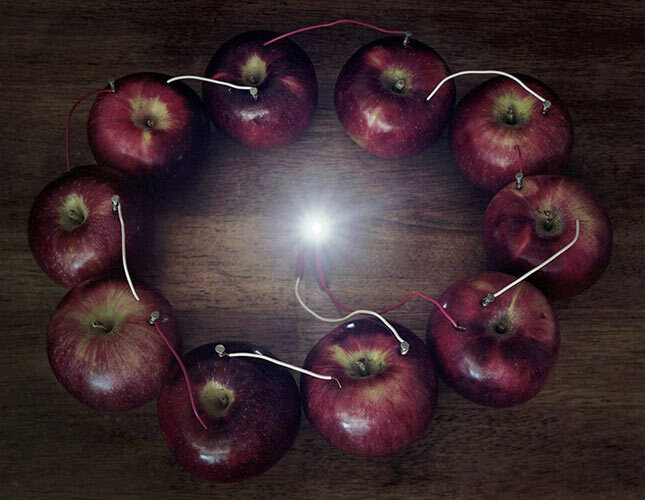 Caleb Charland’s photographic series Back to Light expands upon a classic grade school science project: the potato battery. 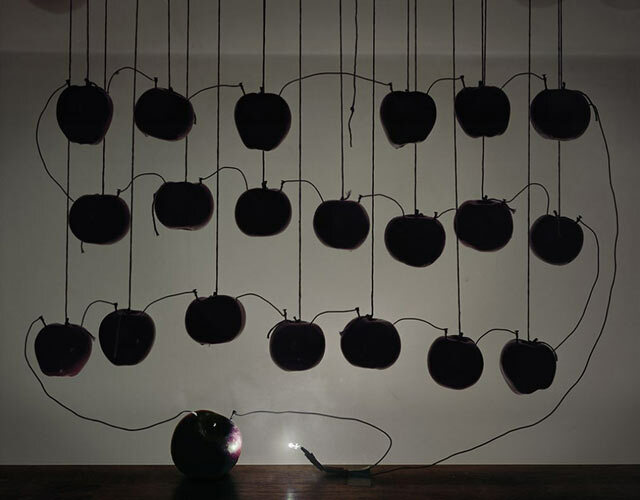 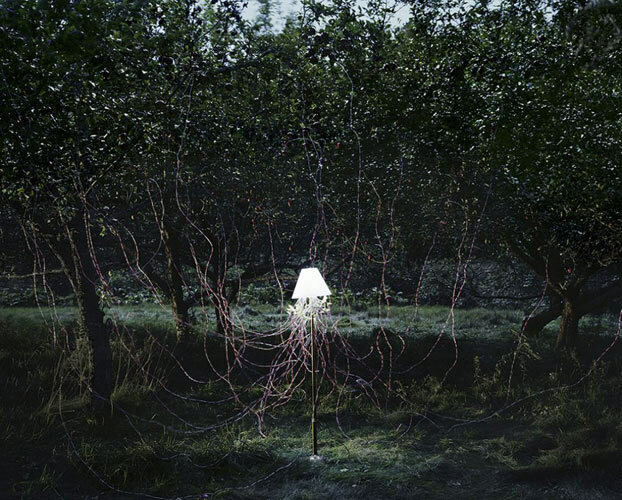 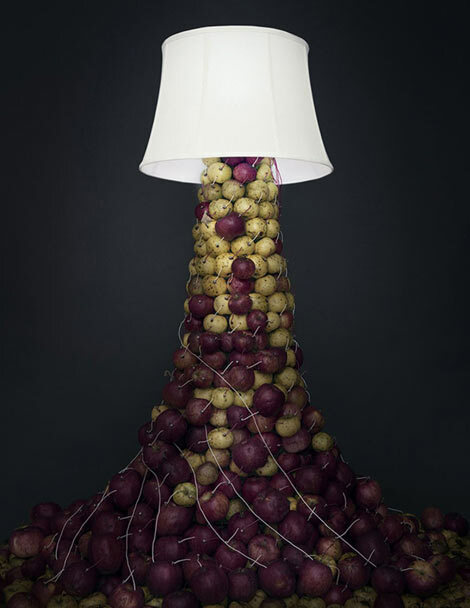 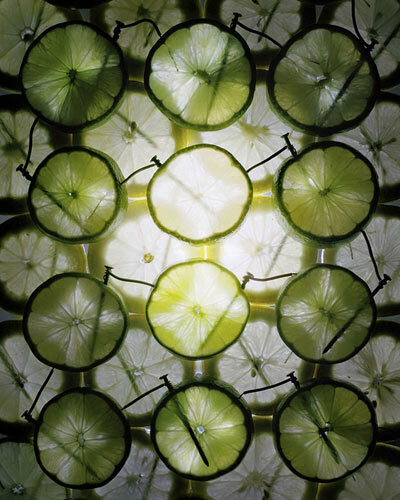 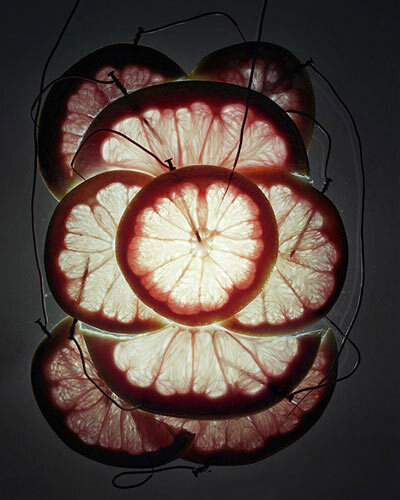 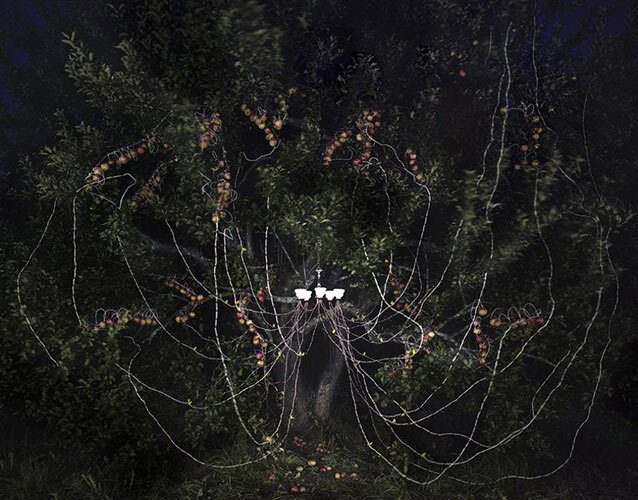 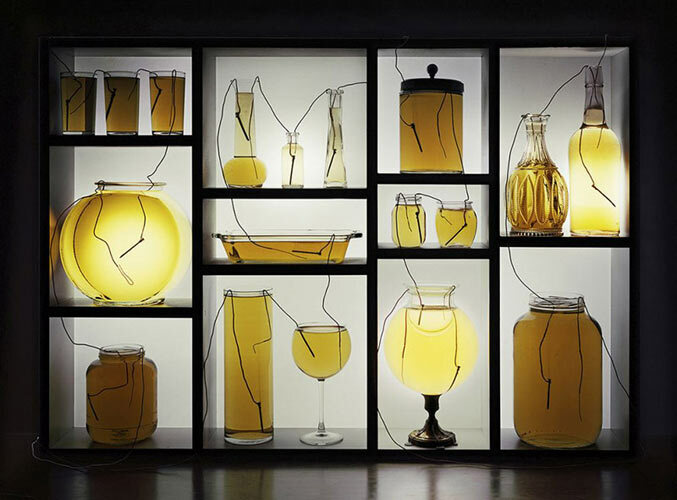 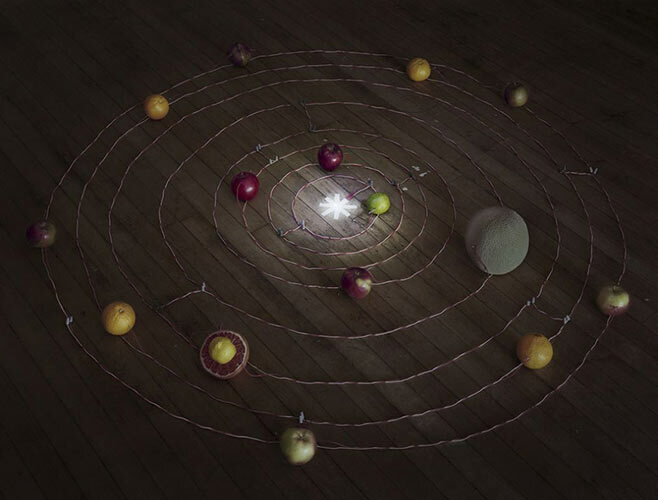 Charland creates fascinating images of fruit galaxies, lamps connected to potatoes still growing in the ground, and chandeliers powered by apples still hanging from their branches. 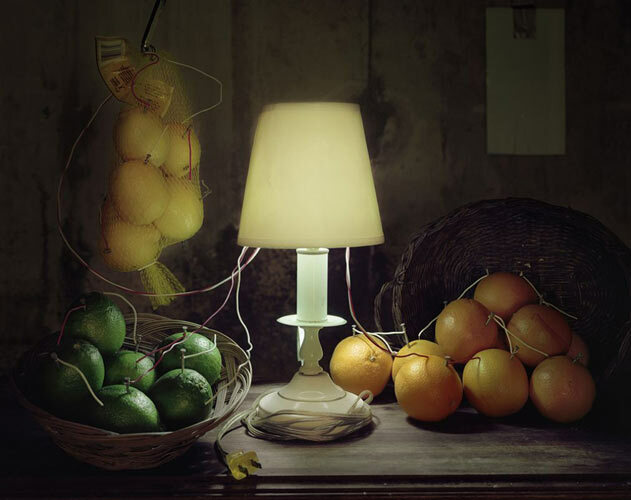 Click through the gallery to view our favorite photographs from the Back to Light series, then head here to purchase an Orange Battery print for your kitchen. 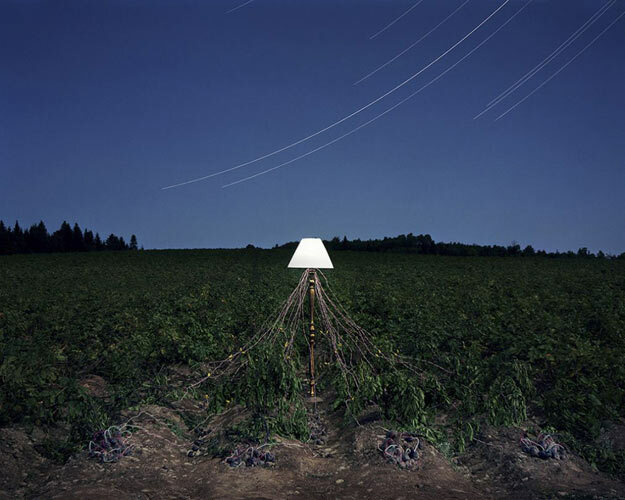 All photos by Caleb Charland.